Given that shisha is often smoked with friends and family, its addiction may be more than just physical. This strong social element to the addiction may be the reason the smoking cessation drug, varenicline, which is effective for cigarette smokers, doesn’t have the same effect on daily shisha smokers. Traditionally smoked by older men in the Middle East and South Asia, shisha has now gained popularity around the globe. Shisha cafes and bars have opened in most cities in Europe and the US in recent years. Flavoured brands, such as fruit shisha, have become particularly popular with young people who are attracted to shisha’s romantic allure – it is seen as fashionable and exotic. In a shisha (also known as a waterpipe or hookah), tobacco is burned using charcoal. The smoke passes through a water-filled bowl and leaves through a hose. By inhaling at one end of the hose, a vacuum is produced that makes smoke pass through the water to the smoker. There are two common misconceptions about shisha smoking. The first is that it is less harmful than cigarettes as the smoke is believed to be “cleansed” while passing through water. The second is that it is less addictive than cigarettes. Both assertions are wrong. Shisha smokers inhale large quantities of harmful particles and are at risk of the same diseases as cigarette smokers, including a variety of cancers. In fact, during a single session of shisha, one can inhale several times more nicotine, carbon monoxide and cancer-causing chemicals than a single cigarette. Between shisha smoking sessions, smokers show cravings and withdrawal symptoms just like cigarette smokers, even with infrequent use. There has been very little research done on ways to help shisha smokers quit successfully. Approaches, such as counselling and medication, are usually successful in getting cigarette smokers to quit, but have shown little promise with shisha smokers, so far. For our study, we recruited 500 shisha smokers in Pakistan. For 12 weeks, half the research participants were treated with the drug varenicline, the other half with a placebo. Both groups were also given advice on changing behaviour to help them address some of the psychological aspects of addiction. Our results showed that varenicline was not more effective than a placebo. This study does not necessarily show that the drug did not work in shisha smokers, but, despite the willingness of participants to quit, only a minority made a serious attempt at quitting. 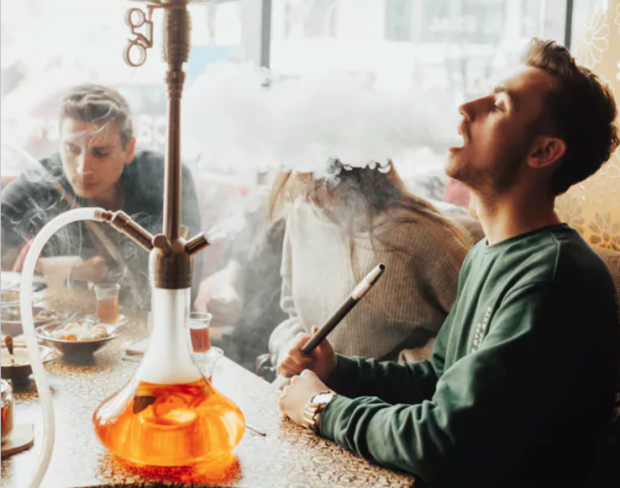 The study also demonstrated that shisha smokers that took part in the study were highly dependent and many smoked cigarettes as well, reducing the effect of the drug. There are many layers to addiction, neurological and psychological, and one of the things we found in this study is that the social aspect of smoking shisha played a significant role in its appeal. Almost 90% of the study participants smoked shisha with their family or friends. Strong tobacco control policies are needed to break the social norms of shisha smoking alongside conventional medication and counselling. The way tobacco is sold and bought for shisha consumption means that standard packaging with graphic health warnings either doesn’t exist or doesn’t have an impact. Inconsistent policies for tobacco price and taxation mean that smoking shisha is still fairly cheap for most people. Shisha smokers may have a better chance of quitting if shisha smoking is less affordable and not served in cafes, bars and restaurants.